If you’re not planning for these expenses ahead of time, you could be in for a rude awakening. In general, people tend to spend less during retirement than they did before they left their jobs. In fact, according to a 2015 study from the Employee Benefit Research Institute, median household spending dropped by about 5.5% in the first two years of retirement compared to preretirement levels. Then by the third and fourth years, spending dropped by around 12.5%. However, researchers also found that although the average spending decreased, a significant number of families ended up spending more during retirement — nearly 46% of households spent more in the first two years of retirement than they did in the years before they retired. While you no longer need to spend money on expensive work clothes or worry about commuting to the office each day, some expenses will likely increase once you retire. And if you’re not prepared for these costs, they could quickly drain your savings. The average 65-year-old couple retiring in 2018 can expect to spend around $280,000 on healthcare during retirement, according to a recent study from Fidelity Investments. 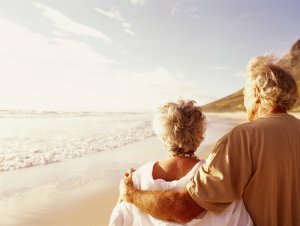 That number includes out-of-pocket costs such as deductibles, premiums, and coinsurance, and it will likely rise over the next few decades — in 2002, the first year Fidelity released healthcare expense estimates, the average couple could expect to spend just $160,000 on these costs during retirement. Many retirees also mistakenly believe that Medicare will cover all their healthcare needs during retirement. While Medicare can be incredibly helpful in paying for certain expenses, it doesn’t cover everything. For example, although it will cover most hospital visits and emergency expenses, routine care — including most dental care, eye exams for prescription eyeglasses, and hearing tests and hearing aids — is typically an out-of-pocket cost. So if you have a dental emergency that requires surgery, for instance, Medicare will typically cover it. But for a routine cleaning or filling, you’re on your own. One potential solution to this problem is signing up for a Medicare Advantage Plan (sometimes referred to as Medicare Part C). Advantage Plans are similar to the type of insurance you probably had through your employer, as they’re provided through Medicare-approved insurance companies. While costs vary and you may end up paying more than you would for original Medicare (Parts A and B), many plans offer coverage for expenses such as dental and vision, which you don’t get with original Medicare. You may dream of packing your bags and heading for the beach once you retire, but just make sure traveling costs are included in your budget. The average baby boomer expects to take four or five vacations in 2018, according to AARP’s annual Travel Trends survey, and they spend an average of $6,400 on travel expenses each year. These trips are coming at a price, with 40% of retirees saying they have spent more on travel than they anticipated during retirement, according to a 2017 Capital Group survey. While there’s nothing wrong with spending your golden years traveling the world, when you no longer have a set number of vacation days you can take each year, it’s easy for the two weeks you planned on vacationing to turn into two months. Especially if the kids are grown and you don’t have any responsibilities keeping you at home, it’s tempting to treat retirement as one extended vacation. While retirement should be a vacation of sorts, it’s still important to keep your spending in check. Before you retire, create a retirement budget to map out where your money will be going. Of the money that’s left over after you pay all your bills, determine how much you can feasibly spend on travel. This is where you’ll need to do your homework to see how much your trips will cost (which includes everything from plane tickets to hotel costs to meals on the road), and it’s also a time to prioritize. For example, if you have limited funds available for travel, you’ll need to decide whether you’d rather take one big vacation per year or a few smaller weekend trips now and then. Then once you have a plan in place, stick to it so you don’t derail your retirement plan and risk running out of money. Sixty-five percent of retirees say that retirement is the best time to give back, according to a survey from Merrill Lynch and Age Wave, and 80% of Americans age 65 and older donate money or goods to charitable organizations — compared to just 58% of 25- to 34-year-olds and 62% of 35- to 54-year-olds. Also, when older Americans do give back, they tend to give more. The average person age 65 or older donates around $1,672 per year, according to the survey, which is around three times as much as the average person age 25 to 34. It makes sense that retirees give more than those in their 20s or 30s, because you typically have fewer financial burdens at this age — you likely don’t have student loans, your mortgage may be paid off, and you’re no longer saving for your kids’ college tuition. But when you’re living on a fixed income, it’s important to gauge just how much you can safely give without putting your own financial health at risk. Just like with traveling expenses, map out your anticipated expenses during retirement and see how much you have left over for other things, such as charitable giving. While you may be tempted to give more than you can (after all, it’s going to a good cause, right? ), ultimately you need to think about your own financial needs. It may sound selfish, but it’s important to think about the cost of giving more than you can afford. Retirement is a joyous time in anyone’s life, but a little extra preparation can go a long way. Although it’s tempting to throw budgeting to the wind and enjoy your golden years however you like without giving a thought to your finances, it’s wiser to take a more strategic approach to ensure your money lasts as long as possible. Many Investors today are concerned about having their investment and retirement money in stocks, bonds, annuities, CDs and precious metals. 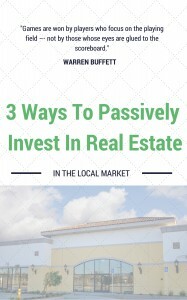 Many have decided to have more control of their money, with the Secured-Predictable Approach of Real Estate Related Opportunities. Savvy Investors have their retirement accounts out perform their distributions. If you have a 401(K) or other retirement account you need help Rolling Over to an IRA or an existing IRA at a brokerage company you would like to transfer to a Self-Directing Individual Retirement Account (SDIRA) or cash, for real estate investing and want to get started with our Senior Adviser that has 31 years experience in working with Retirement Accounts and 39 years experience in Real Estate, simply complete the form below. If yes, who is your current IRA custodian? This the amount you are considering to invest in real estate using your IRA. You can upload your most recent statement(s) here. This helps us help you in Rollovers, Transfers and General Discussions with you. Luke has 38 years experience in real estate transactions with a background in Construction, Property Management, Real Estate Brokerage, Mortgage Banking and Corporate Finance.